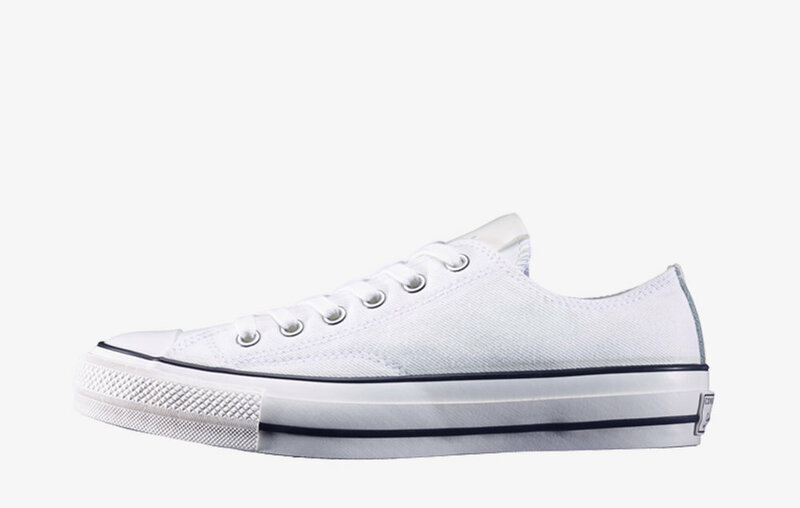 N.HOOLYWOOD have teamed up with CONVERSE ADDICT again for three new versions of the Converse Chuck taylor. First out is the white denim pair which you can see above sporting a vibram sole and a custom N.HOOLYWOOD tag on the tongue. These are now available at N.HOOLYWOOD stockists. There's also an all black suede pair that will be available exclusively at their new GINZA SIX shop starting this Thursday April 20th. Not much info on the third and last pair yet but it will be a chuck taylor high in a classic black/white colorway made in collaboration with Japanese stylist Tsuyoshi Noguchi with a release date on May 5th.